Come together in Winnipeg for an unforgettable festival that celebrates Aboriginal arts, culture, music and the seven sacred teachings. Manito Ahbee is an annual festival that shares Indigenous culture and heritage with the world through a number of exciting events, including the Indigenous Marketplace and Trade Show. You won’t want to miss incredible performances of Metis square dancing and jigging, as well as the International Pow Wow. Every year, farm families travel from St. Adolphe, Starbuck and even Killarney to bring their freshest and most delicious fare to the St. Norbert Farmers’ Market. Manitoba’s largest farmers’ market is sure to impress, with an abundance of flowers, meat, vegetables, fruits and locally made wares such as soap, crafts, toys and even furniture. Saturdays just wouldn’t be complete without a trip to the market! Ahh, the changing of seasons. Spring calls for something new, and the best place to find that special something is at one of the province’s spring markets. Head into the Parkland to Riding Mountain National Park on May 21 and browse the At the Farm Gate Spring Market. Expect regional and local goods, arts, farm produce and baked goods. Winnipeg Beach’s annual spring market is back on May 21 for another year of shopping ’til you drop. Enjoy a pancake breakfast, a silent auction and tons of vendors. Do you brake for rusty items and antiques? Do you get giddy for one of a kind handmade art? 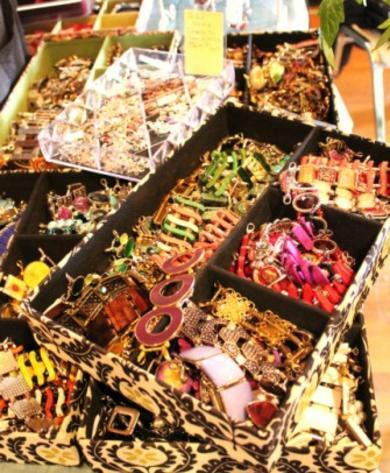 If so, head to the 2nd Annual Handmade & Vintage Flea market on May 21 in Rossburn, Manitoba and find your hidden treasure. Mix and mingle on the Metropolitan’s gorgeous rooftop patio for the first in a networking summer series. The Hub is a bi-weekly rendezvous where you can meet your next colleague or just make new friends. Check out locally designed fashions, live art and craft cocktails. This week’s event features designers Dediger & Boutique Anya as well as artist Nereo II. Sushi lovers, rejoice. Sushi Fest takes nine of Winnipeg’s best local sushi chefs in an epic month of sushi-goodness. Each restaurant has created a special, mouth-watering feature roll for the festival – how many will you try? BOOM is a solo performance by Rick Miller that takes audiences on a journey through the music, culture and events that defined the baby boomer generation. The innovative stage documentary gives voice to the era’s most influential figures, including JFK, the Beatles and everything/everyone in between. Rising dramatically from the prairie landscape, Riding Mountain National Park is a vast expanse of boreal forest and pristine aspen parkland that is sure to enchant and inspire you. You’ll feel like you’re standing on the edge of the world as you hike the Escarpment trail system, where the Manitoba plateau falls away 300 metres to the prairies. An abundance of wildlife, forest trails and lakes have attracted nature lovers, camping enthusiasts and summer cottagers for generations. There’s truly something for everyone in this scenic region. Here’s our guide on how to Instagram the perfect trip to Riding Mountain National Park! Sign up for an unforgettable evening of magic, mystery and architectural wonder on theHermetic Code Tour. The charismatic Frank Albo, researcher and inspiration behind the bestseller The Hermetic Code, will take you along a step-by-step tour to reveal a trail of occult clues concealed in the building’s architecture including: hidden hieroglyphic inscriptions,numerological codes, and Freemasonic symbols so intelligently masked they have escaped historians and visitors for nearly a hundred years! This is part of the Canadian Signature Experience collection. If you like adventure and hands-on experiences, then sign up for a Fossil Dig Adventure Tour! This is one of Manitoba’s hottest tourism products where you can hunt for fossils on active dig sites in the Morden area. Home to Bruce, the 43-foot mosasaur (or marine reptile), the CFDC is unearthing a steady stream of fossils near Morden – an area that was once covered by a saltwater seaway in the Late Cretaceous Period. Take a journey back in time to the Fur Trade in the early 1800’s. Eccentric costumed interpreters will guide you through the historic Fort Gibraltar that originally sat at the forks of the Red and Assiniboine River. Guided tours are approximately 2 hours long and cover everything from the role of the fort as a North West Company trading post to the development of the Red River Settlement and the notorious conflict between competing fur trading empires. Camels, fire hydrants and windmills are just a few of the strange monuments found in Manitoba. Head out on the road to discover our local mascots with a Roadside Madness road trip. Tour our province’s quirkiest roadside attractions while taking in the scenery, shops and restaurants that each location has to offer. Twitter user tuliplights covered 821 km and 17 towns in 12 hours during her own #shaunaslandmarkchallenge. How many can you see in one day? At Laura’s “You can eat that? !” Wild Edible Adventure, you will head into the bush with wild edible plant expert Laura to discover how to identify, harvest and prepare common wild edibles. Get hands on experience in telling the difference between edible plants and their poisonous look-a-likes, and when and how to gather your edibles. 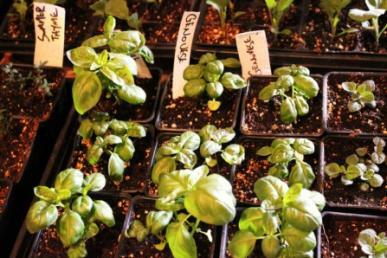 By the end of the one-day workshop, you will prepare a full-course meal with the plants you gather. Bon appetite!